This class can run nmap security audit tool from a Web user interface. It can present a Web forms based user interface to let the user configure options to execute the nmap tool. 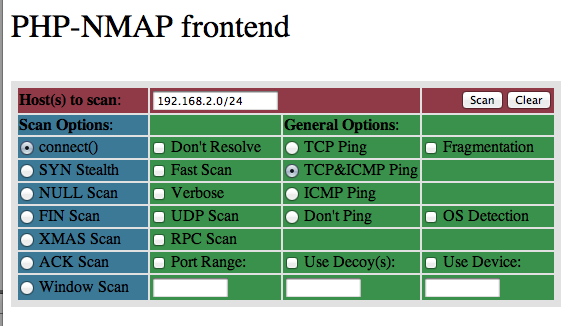 The class executes the nmap program and presents the output results in the same Web page. Prize: One copy of RadPHP XE2 There are many useful tools that execute interesting tasks but they only provide a command line interface to execute them. That is the case of the nmap security audit tool. This class provides a Web based user interface to nmap that is more user friendly. It can not only allow the user to configure nmap options with forms based page, but also present the nmap output results on the same Web page.